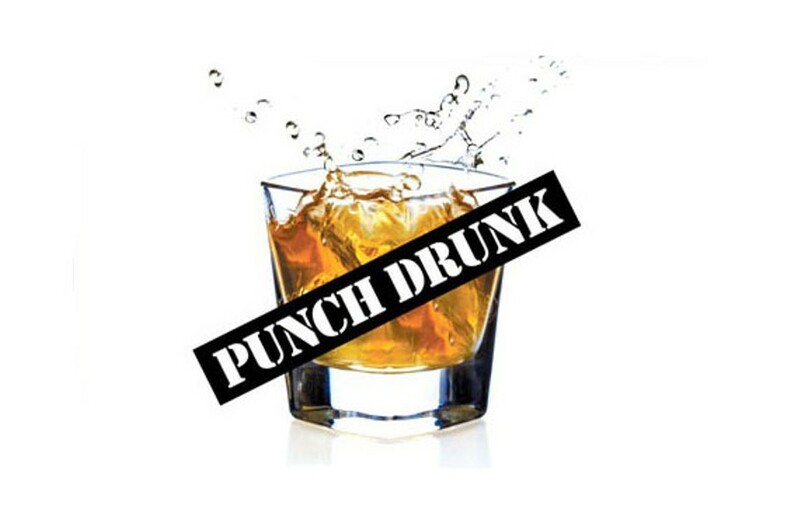 Punch Drunk: Jack's Wedding Bliss | Punch Drunk | Style Weekly - Richmond, VA local news, arts, and events. Next weekend I will be attending my seventh wedding of the 2017 calendar year. We have another to attend in November. It’s that age, I’m told. Now, I’m not complaining, because, you know: open bars. And before you say anything, no, I’m not planning on drinking 19 drinks or anything. I’m in my 30s now. My plan is limit it to 17, and I — albeit thoughtfully — brought only six crinkled dollar bills to tip the bartenders. So, if I walk into your wedding and find out I have to pay or there’s some sort of drink-ticket system, I’ll probably choke on my tuna tartare appetizer cone, which I assure you is delicious. I’ve had nine so far. But really, it’s not all about the dollars and cents for me. Traveling to weddings — this next one is in Denver — or attending bachelor parties or any of the other expenditures that go along with weddings are just something you deal with. The lifelong happiness of the two people at the altar is what it all comes down to, and when the day comes, when I force my friends to give up an entire Saturday, I expect them to spend money, too. Except, I’m going to be a real jerk and have the wedding somewhere like Charlottesville or Virginia Beach — close to home, but just far enough you’ll still need to get a hotel room and give up an entire weekend. That’s what you get for being my friend! Now, enjoy some more of this Yellow Tail merlot. Happiness aside, some of the wedding guest expenditures do seem a bit frivolous. This next wedding is super formal. Like, all of sudden I need a tuxedo. I haven’t worn a tux since probably senior prom. I’m a radio DJ. I wore basketball shorts to work last Friday. Anyway, I guess it’ll be fun to get all James Bond while eating my appetizer seafood cones. Thinking back on the past 20 or so of these endurance tests — I mean, festivals of love and friendship — I think the best and sometimes worst part of every wedding is the forced small talk with complete strangers. At my girlfriend’s brother’s wedding in Dallas a few months ago, a guy asked me if I made it to McKinney often — the suburb where they had the wedding? For the more eagle-eyed among you — Mom — you may notice that this is the second column I’ve done about weddings and marriage recently. The last one discussed my desire to get married at Taco Bell. I won’t lie. It’s been on my mind. I am constantly thinking about tacos. But, also marriage. Maybe that’s because we’ve been to so damn many this year. And no offense to my friends whose weddings I’ve attended this year and who are reading this column. Your wedding was definitely the best, bro or madam. Another thing I’ve noticed — and this really only applies to out-of-town weddings — but usually the quality of the hospitality bag, if there even is one, directly reflects that of the wedding. If we get to the hotel and there’s a bag in the room with my name on it, some peanut M & Ms, chips, water, maybe even some wine or liquor in it, I know that this wedding is going to be pretty OK. Usually, the clever ones will even throw a little packet of Advil in there, too. Like, “Ha Ha you’re gonna need this later!” Yeah, I’m gonna need like eight Advil later, not the two you’ve enclosed, but thank you, anyway. Well, here’s hoping no one from this upcoming Denver wedding reads this column. Don’t want to put any pressure on the bride and groom. Just make my swag bag a little bit fancier than the others and we’ll be fine. I love minibottles.